Aliko Dangote is the richest man in Africa. He has held that record for a couple of years now. He is now accustomed to being called wealthy but there was a time that even he was amazed and bemused at the riches he had amassed. Yes, he had to make sure that he was really that wealthy! He told a stunned audience that he had once withdrawn 10 million dollars (1 billion shillings) from his bank account so he could stare at it! 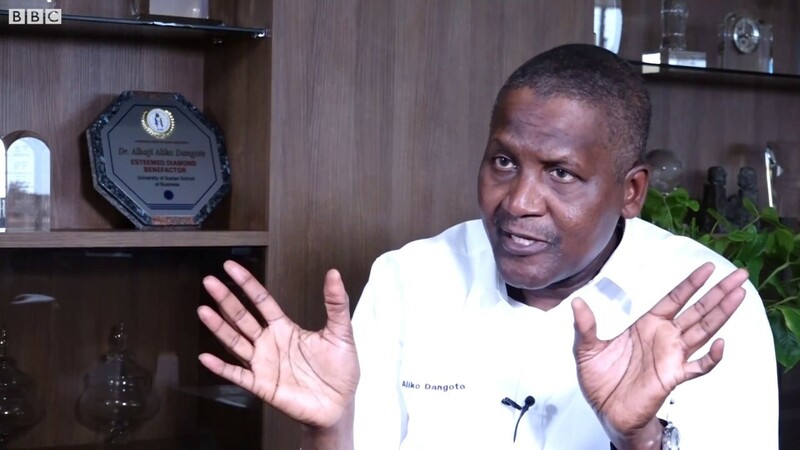 In an interview on Saturday, April 6, the Nigerian business magnate told an interesting tale of how the beginning of his journey to wealth had been littered with some doubt, on his part concerning the money he actually had. One day, I cashed 10 million dollars (Ksh. 1 billion), put it in the boot of my car I put it in my room. I looked at it and thought ‘now I believe I have money’ and took it back to the bank the next day.